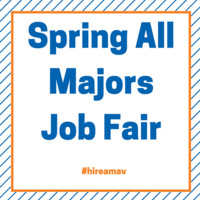 The UTA Spring All-Majors Job Fair is on Wednesday, February 21, 2018 from 10:00 a.m. - 3:00 p.m. in the Maverick Activities Center (MAC)! The job fair is for seniors, graduate students, and alumni seeking full-time positions, as well as underclassmen exploring future career possibilities through internships, part-time jobs, and field placements. Over 160 employers expected to attend! Wear a suit and bring several copies of your resume! Students - No RSVP required. Employers - Please call 817-272-2932 for registration information.